One Man Show, or better known to me and his friends as Tassos Papaioannou, is a very talented illustrator/graphic designer/decoration designer/comic artist/comic publisher/radio producer/DJ (phew what a list!). He is one of the few Greek illustrators included in Taschen's yearly edition "Illustration Now! Vol.2". 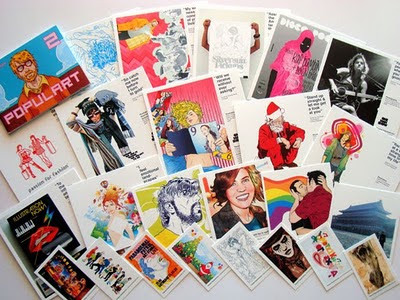 His work has been featured in many prominent greek newspapers and magazines, he has designed logos and graphics for many greek companies, done studio sets for MAD TV channel and has been the man behing Giganto Books comics publishing house (as well as an established comic artist himself). He is working freelance now and send me his promotional package, which you see in his photos. It features a series of cards in various sizes, printed with illustrations that he has done over the years, accompanied by various favourite quotes. 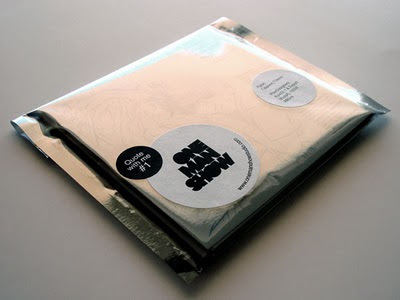 All of this is enclosed in a silver foil semi-transparent envelope. I love his work and I hope you will like it too! You can contact him here and read his blog here.